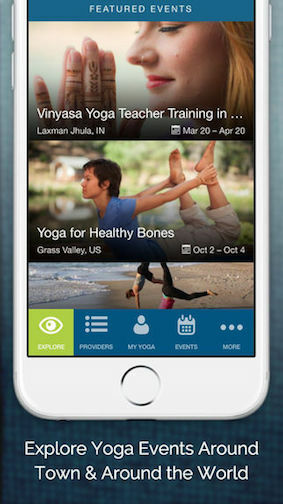 We're happy to announce the release of the YogaTrail App for your mobile phone. It's powered by the entire YogaTrail database — so all you yoga providers on YogaTrail, you're in there, too! It's no exaggeration to say that the YogaTrail App is by far the best, most comprehensive and useful yoga planning app out there. It's free and available for both iOS and Android. Or Look at the What the App Does for You! 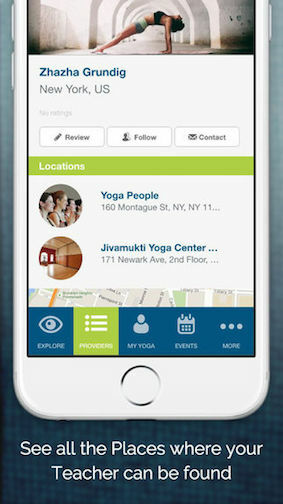 The YogaTrail App shows you detailed information for tens of thousands of yoga venues and teachers all over the world, not just the usual suspects (MindBody clients). 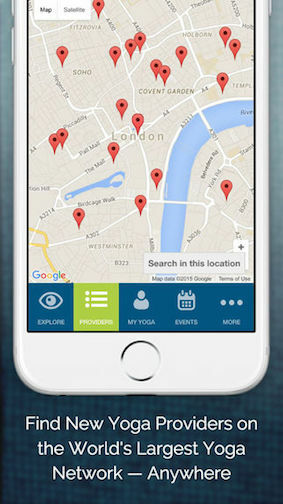 This means the YogaTrail App is actually useful all over the world, not just in a few populated US cities. Because YogaTrail is the World's Yoga Network, all yoga providers (including small independent yoga teachers and studios) are welcome to add their listing and create a profile, for free. YogaTrail has rapidly grown to become the place where yoga pros make themselves a home, and where yogis go to look for their yoga. And that's why the YogaTrail App already covers over 50,000 yoga venues and teachers all over globe — and why hundreds more are added every day. 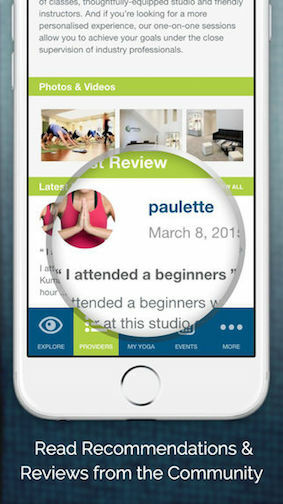 If your yoga teachers or studios aren't on the app (and on the site) yet, it's super easy for you to invite them, straight from the app. When they join you'll be following them automatically. 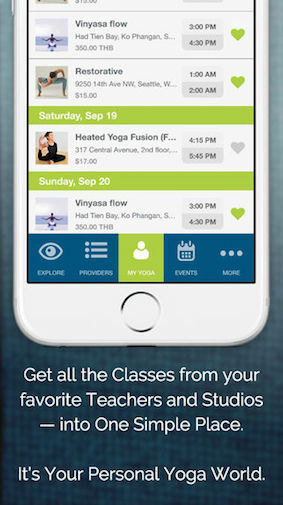 All their classes will be available for you in your Class Guru, both on the app or on the site. But the best is.. 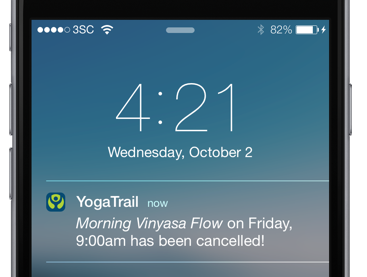 The YogaTrail App notifies you whenever any of the teachers or places you follow add or cancel class, or publish a new event! How neat is that. Just find the yoga providers that you love, and we'll do the rest! One last favour (if you're still reading): you'd really help us to improve the App by providing some feedback, so after trying out the App, please spare a moment and leave a review in your app store. Thanks so much!